By Tom B.K. 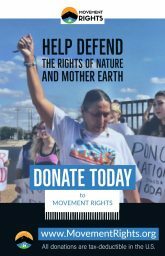 Goldtooth and Shannon Biggs, editors of the new report Rights of Nature & Mother Earth: Sowing seeds of resistance, love and change. 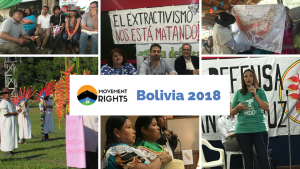 This report is a joint publication by Movement Rights, the Indigenous Environmental Network, and Global Exchange, released for the UN Climate talks in Paris. 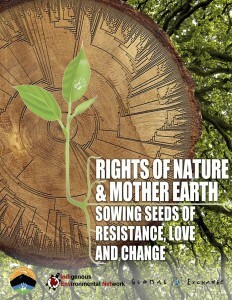 Providing both a critique of the UNFCCC process and an alternative system of environmental protection, the report includes contributions by Dr. Vandana Shiva (India), Maude Barlow (Canada), Pablo Solon (Bolivia), Alberto Acosta (Ecuador), Cormac Cullinan (South Africa) and many other luminaries. L’humanité et la nature sont un. الإنسانية والطبيعة واحدة. Humanity and nature are one. 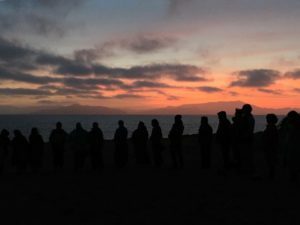 In the wake of the violence in Paris, Beirut, Syria, Iraq and around the world, we are reminded that not only are we one people—but humanity and all nature are one. 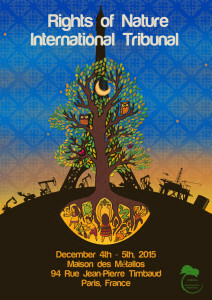 It is time to seek peace and justice for humanity and Mother Earth. While billed as the most important climate meeting ever held, the next generation will not look back on the Paris COP 21 as the historic moment governments took decisive action on climate change. Rather than mourn the loss of international political leadership on climate change to the peddlers of extractive capitalism, its time to acknowledge where the real power to create change lies, and what Paris might be remembered for. The next generation could look back on Paris as the time when grassroots movements became the real and rightful leaders on climate with searing critiques of capitalism and endless growth and a transformative solutions based on equity, and living in balance with natural laws. Climate change itself is the Earth’s demand for human system change; it is a wake up call to shake off old ways that got us here, and to create vibrant local living economies respectful of the living cycles of Mother Earth and Father Sky. It means shifting the legal landscape that has propped up industrialization by treating ecosystems as property to be owned and destroyed. 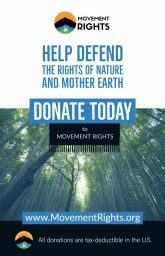 Rights of nature define legal rights for ecosystems “to exist, flourish and regenerate their natural capacities.” These laws challenge the status of nature as mere property and while not stopping development, recognizing legal rights of nature stops the kind of development that interferes with the existence and vitality of ecosystems. It provides a legal framework for an ethical and spiritual relationship to the Earth and the Sky. And its been growing at the local and national level around the world. In the last decade, three countries and dozens of communities have passed laws recognizing “legal standing” for ecosystems. This report “Rights of Nature & Mother Earth: Sowing seeds of resistance, love and change” isn’t just a challenge to the UN climate framework. 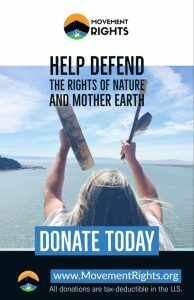 It is a call for Earth’s real revolution, a reawakening of the Sacred, and a legal framework to support real system change based on the inalienable rights of nature – of Mother Earth—of which our own human rights and the fate of humanity cannot be separated. L’humanité et la nature sont un. 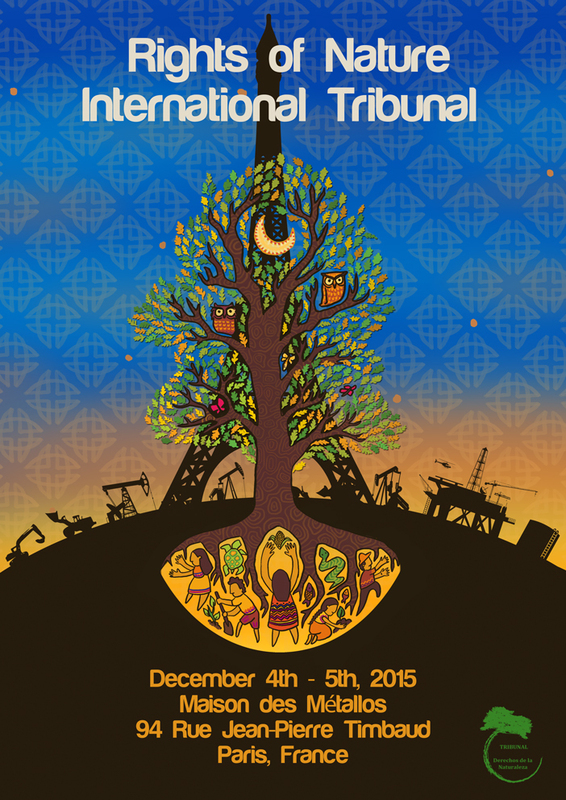 Among many activities planned in Paris, both Shannon Biggs and Tom Goldtooth will be participating in the International Tribunal on the Rights of Nature (Dec 4-5), where they will be joined by contributors to this report and 20 other respected international Indigenous, grassroots, and climate change leaders showcasing this alternative framework for protecting ecosystems. The Tribunal is sponsored by the Global Alliance for the Rights of Nature, an international network designed to promote Earth Rights movement at the local, national and international level. 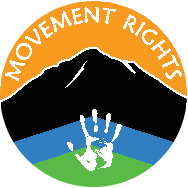 Shannon Biggs is the co-founder and Executive Director of Movement Rights, advancing legal rights for communities, indigenous peoples and ecosystems. 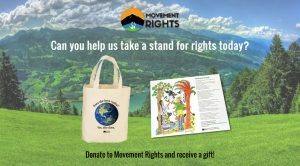 She has been a senior staffer at Global Exchange and the International Forum on Globalization, and is the co-author and editor of two books including “The Rights of Nature, the Universal Declaration on the Rights of Nature.” She is also a founder of the Global Alliance for the Rights of Nature. She holds an MSc. from the London School of Economics (LSE) in Economics and the Politics of Empire. Tom B.K. 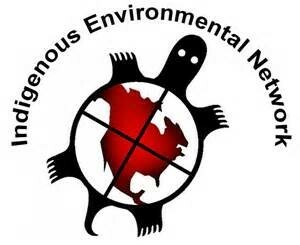 Goldtooth is the Executive Director of The Indigenous Environmental Network, a network of indigenous communities worldwide. He is a leader of environmental and climate justice issues and the rights of Indigenous peoples. 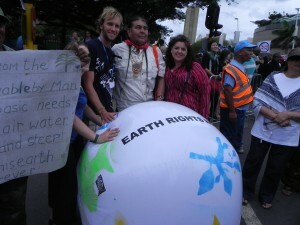 He is a board member of the Global Alliance for the Rights of Nature. In 2015 he received the Gandhi Peace Award, and is also co-and producer of an award-winning documentary Drumbeat For Mother Earth, which addresses the effects of bio-accumulative chemicals on indigenous communities.